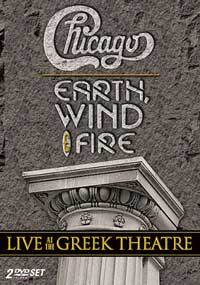 Chicago with Earth Wind & Fire Live at the Greek Theatre DVD. Two of the most popular touring and recording acts in rock history, Chicago and Earth, Wind & Fire have teamed up to produce an exciting three hour extravaganza during the 2004 and 2005 touring seasons. Captured for DVD is their combined performance at the Greek Theatre in Los Angeles, CA in August 2004. The release date is June 28, 2005. Two legendary groups team up for a high-powered night of music! Bruce Hornsby "Three Nights On The Town" new DVD, Bruce Hornsby new DVD out July 26 on Columbia Records, Bruce Hornsby tour. On Tuesday, July 26, Columbia Records will release "Three Nights On The Town", a special DVD package chronicling three historic New York performances by Bruce Hornsby in October 2004. Bruce Hornsby spent the last week of October 2004 in New York with his band, The Noisemakers, to perform three unique concerts at three historic Gotham venues: the venerated Town Hall, the legendary jazz mecca the Blue Note, and Carnegie Hall's prestigious Zankel Hall, where Bruce performed a rare solo piano concert. The centerpiece of Bruce Hornsby's New York City mini-tour was his sold- out Town Hall concert (October 29, 2004). 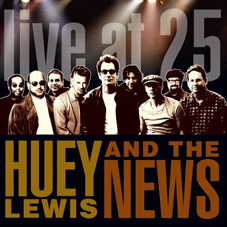 Shot in high definition video and recorded in pristine 5.1 Dolby Digital SurroundSound, Hornsby's "Live At Town Hall" concert is included on "Three Nights On The Town". Featuring stellar performances of material spanning his career from his days with The Range to his Columbia Records debut album, the Grammy-nominated Halycon Days, the "Live At Town Hall" concert showcases a seamless flow of fan favorites, surprising rarities, unexpected covers, greatest hits, and much more. Hornsby (piano, vocals, accordion) and The Noisemakers -- Bobby Read (horns, vocals), Sonny Emory (drums), Jervonny "JV" Collier (bass guitar), Doug Derryberry (guitar, vocals), John "JT" Thomas (keyboard) -- were loose and playful that night and the improvisational and compositional magic are especially palpable on the DVD's concert portions. In addition to the Town Hall concert, Bruce Hornsby "Three Nights On The Town" contains a behind-the-scenes fly-on-the-wall documentary lensed that same week in October, featuring intimate live footage shot during Hornsby & The Noisemakers two SRO shows at the Blue Note, revelatory rehearsal footage of Bruce preparing for his solo piano performance at Zankel Hall, extensive interviews with Bruce Hornsby and his bandmates, and vintage glimpses of Bruce and company at work and at play in glittering Manhattan. In celebration of the release of "Three Nights On The Town", Bruce Hornsby will hit the road for an extensive US concert tour featuring both band and solo performances as well as co-headlining dates with Bob Weir & RatDog (see itinerary following). 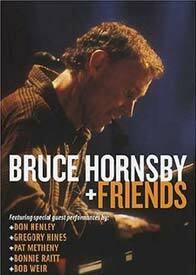 Bruce Hornsby & Friends latest live DVD (2004): ORDER IT NOW . Carrie Underwood winner of American Idol 2005, Carrie Underwood winner of American Idol. Promo Only MPE and technology partner Destiny Media Technologies announced today with RCA Music Group that Promo Only MPE, the music industry's number one choice in secure content delivery, made the newest "American Idol" winner, Carrie Underwood's "Inside Your Heaven," single available to all formats of radio and industry VIP's FIRST via the Promo Only MPE system. "We chose Promo Only MPE to deliver this vital track to radio because we feel that they present an extremely fast and dependable means of getting our music out. We knew that this track had to be made available immediately after the winner was announced and Promo Only MPE provided us with the ability to reach who we needed to reach moments after America chose its next "American Idol," said Adrian Moreira, VP of Adult Format Promotion for RCA Music Group. "We have the most users installed and the most tracks delivered to radio. Our adoption percentage is the highest at all radio formats. It was a natural decision for RCA to ask us to deliver the song to radio first and shows how much faith they have in Promo Only MPE," said Dean Ernst, Director of the Promo Only MPE project. "American Idol is one of the most watched shows in the world and our ability to deliver Carrie's new track almost immediately after she was named the winner proves our status as the industry's only choice for digital delivery." American Idol is a cultural phenomenon in the United States and the world with over 25 million viewers per week. In last year's finale over 48 million viewers tuned in to see the final season episode, the culmination of over 340 million votes cast throughout the season. Previous winners include Kelly Clarkson, Rubin Studdard and Fantasia Barrino. 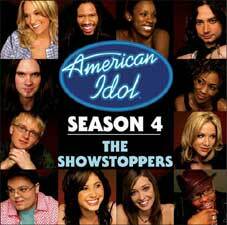 American Idol Season 4 "The Showstoppers" new CD: ORDER IT NOW . Carrie Underwood winner of American Idol 2005? Bo Bice winner of American Idol 2005? About the American Idol Winner's Single. RCA Music Group has chosen Musicrypt's Digital Music Distribution System (DMDS) to deliver the new American Idol winning single to radio, on the eve of the season's biggest finale. RCA Music Group will use DMDS to deliver the new American Idol winner's song shortly after the winner is announced this evening. The winning single from one of the finalists, either Bo Bice or Carrie Underwood, will be digitally delivered to radio stations across the United States and Canada through Musicrypt's DMDS. American Idol is the number one reality show on air today. Last year alone, American Idol season finale had over 48 million viewers tuning in to see the final season episode and 340 million votes were received throughout the contest. This year, over 100,000 hopeful singers auditioned for the chance to become the final American Idol. "To have the ability and flexibility of securely delivering music moments after the winner is announced from our new American Idol is a great position to be in," said Adrian Moreira, VP Adult Format Promotion for RCA Music Group. "Musicrypt's DMDS continues to pave the way for digital delivery in our industry and because of this technology, broadcasters across North America and fans of American Idol will receive and hear this music as soon as it becomes available." Musicrypt's patented Digital Media Distribution System (DMDS) is an easy-to-use, web-based system that requires no expensive software or hardware. DMDS delivers music simultaneously to all intended destinations and is available 24/7. Its advanced technology allows record labels and broadcasters to control the delivery, receipt and use of their music. "We are extremely excited to be chosen to deliver the American Idol winner's song through DMDS," said Peter Diemer, Vice President, Marketing & Sales for Musicrypt. "DMDS will enable us to deliver Bo's or Carrie's hit song to every major radio station in North America shortly after the viewing public has selected a winner. This is a strong testament to the power behind digital music delivery that Musicrypt is proud to offer the music industry." With the music industry revenues exceeding over $30 billion today, Musicrypt has worked closely with its customers to develop user-friendly technology that securely delivers broadcast quality music to its recipients. Musicrypt has completed over 400,000 deliveries of over 900 tracks from today's hottest music chart toppers such as U2, Usher, Norah Jones, Shania Twain, Britney Spears, 3 Doors Down, Avril Lavigne, Alicia Keys, Nickelback, Christina Aguilera, Coldplay, Dave Matthews Band, Evanescence, Green Day, Gwen Stefani, Hoobastank, Jet, Foo Fighters, K-OS, Maroon 5, Robbie Williams, Sarah McLachlan, R.Kelly, Seal, SUM 41, Sting, The White Stripes, and Tim McGraw. Bo Bice: winner of American Idol, Bo Bice winner of American Idol 2005? That brassy hit Bo Bice has floored the judges with twice now on Fox-TV's American Idol has put the spotlight back on the "friendly strangers" from Chicago. The song was Billboard Top Ten (reaching #2) in 1970, and has remained a staple on Oldies stations ever since. What is astounding is that the band who made that hit record is still alive, well, and rocking hard in 2005, with all the original members intact. Beyond astounding is the fact that they have been doing so for over 40 years. That's not a typo. 40 years together as a rock band, with all the original guys. They should be in the Rock and Roll Hall of Fame for that reason alone. Although the song remains popular, the group slipped from the national eye. But in the Windy City they're a top draw on the festival circuit, and have in recent years made a few ventures to Las Vegas and both coasts. Thanks to American Idol, the spotlight again is starting to shine their way. Lead Singer Jim Peterik who wrote and sang "Vehicle" is no stranger to the charts. As the founder of the group "Survivor", he co-wrote all their platinum hits including "The Eye Of The Tiger" from the film "Rocky III". Recently re-united with Sylvester Stallone, Sly told Jim that the reason he turned towards Survivor to provide the title tune was due to his love of "Vehicle". The Ides continue to record and perform live, and audiences are surprised when they see such rock and roll energy from what they might have preconceived as an "oldies act". Their fan base is huge in Chicago, and it's not just baby boomers. The sports teams (Cubs, Sox, Bulls and Bears) regularly tap them to sing the National Anthem, and the group is releasing their new album "Idessentials" within the month. The Ides have even started a dialog with Bo Bice, who insisted on performing the song against the American Idol producers' advice. It worked out pretty well for Bo, and it just may prove to work out well for the Ides themselves. 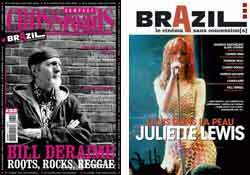 The new issue of CrossRoad/Brazil is now on sale. The independant magazine about music and cinema offers articles, critics, interviews and a point of view you won't find anywhere else. Remembering the great Michael McDonald's concert in Paris, Richard Benhaim is proud to announce the venue of Jose Feliciano at La Cigale (Paris) on Monday 4 of july. Don't miss the legend!! Brian Howe is working on a new solo album! MTM Music is proud to announce another high priority release for autumn this year ex-Bad Company singer Brian Howe is working on a new solo album! Line-Up: Brian Howe - vocals, percussion, keyboards; Miguel Gonzalez - bass, guitar; Richard Sanders - drums; Jeff Carlisi - guitars (38 Special); Bryan Le Mar - guitars. Brian Howe commented on his new album: "This is the record I have been wanting to make for many years....No more "I love you" songs...."now I dont like you"....and there will be injuries! Drawing from a lot of my influences but adding a cutting modern edge that if played loud will damage furniture! No holds barred aggressive back to the roots rock n roll that will make you want to use your head as a bowling ball! Bluesy roots rock with more than just a twist of hate. 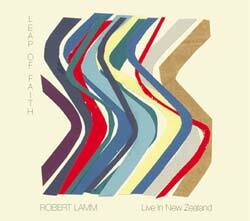 Robert Lamm's 2004 appearance in New Zealand for a show supporting the New Zealand release of Robert’s solo CD “subtlety&passion” was recorded for worldwide release on CD and DVD later in 2005 and is entitled “Leap of Faith Live in New Zealand”. The CD and DVD features Robert's best loved hits, including "Does Anybody Really Know What Time It Is" "Saturday InThe Park" and his newest hit, "Mystery of Moonlight". Musicians on stage are: Robert Lamm (Piano + Vocals), Jason Scheff (Bass + Vocals), HankLinderman (Guitar + Vocals), Tris Imboden (Drums), Lee Loughnane (Trumpet + Flugel), Larry Klimas (Saxophones), Nick Lane (Trombone + Arranger) and from New Zealand: Beth Campbell (Vocals) & Hayley Barker (Trombone). Formed in 1979—and originally called Huey Lewis and the American Express—Huey Lewis and the News released their self-titled debut album in 1980 and began a steady climb from Bay Area bars to the top of the Billboard charts with their rollicking brand of soulful rock ’n’ roll. After 25 years together and more than 20 million albums sold, Huey Lewis and the News are celebrating their silver anniversary with a tour and the DVD and CD release of Live At 25. Recorded over two nights in December 2004 at the packed Sierra Nevada Brewing Co. in Chico, California, Live At 25 captures Lewis and the eight-piece News at the peak of their powers. Spanning the group’s multiplatinum career, Live At 25 includes charged performances of such harmonica-fueled blues rockers as “The Heart Of Rock & Roll,” “Power Of Love,” and “Workin’ For A Livin’” plus newly-arranged versions of “(Too) Hip To Be Square” and the group’s first hit, “Do You Believe In Love.” The show also includes an a capella doo wop mini-set with Huey leading the group through their 1983 fave “Bad Is Bad” and a pair of Curtis Mayfield’s soul classics. This is available on Rhino Records since may 17th 2005.